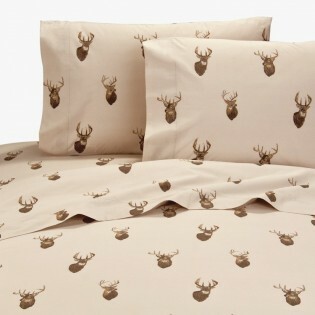 This 180 thread count sheet set features deer portraits on a tan background. 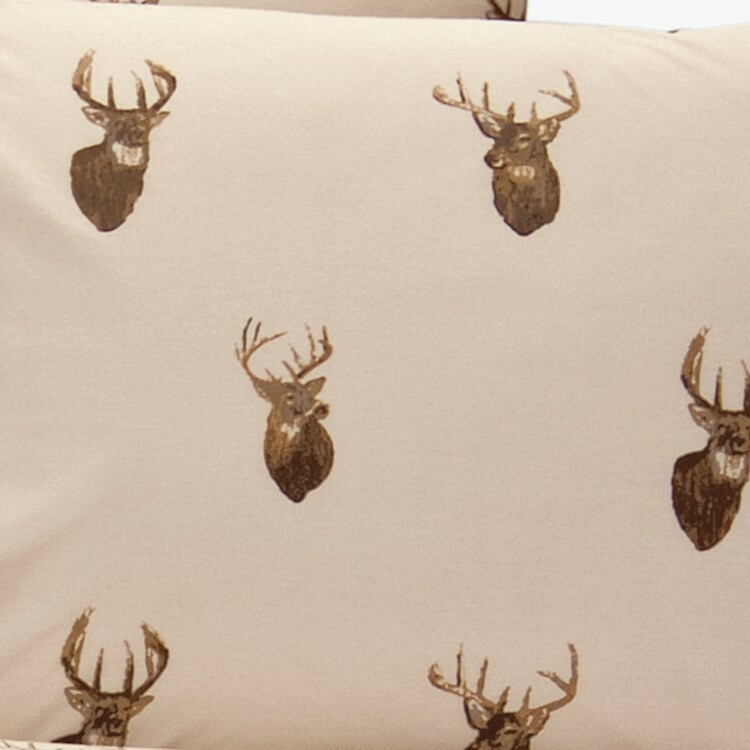 Made of 50/50 cotton/ polyester percale in the USA. 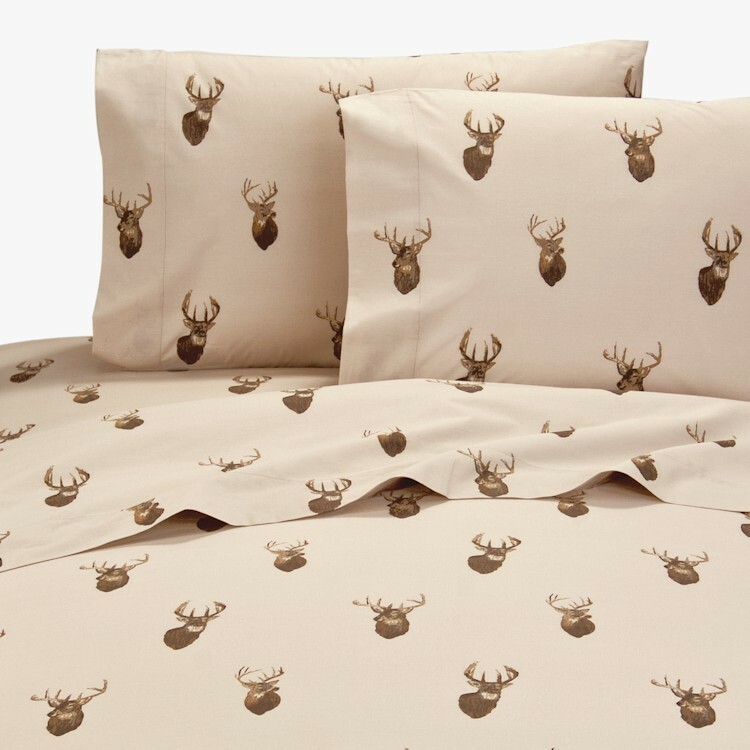 This 180 thread count sheet set features deer portraits on a tan background. Made of 50/50 cotton/ polyester percale in the USA. Fits mattresses up to 13" deep.